The Obama Administration should stop bailing out corporate disasters and abandon plans to move health care onto the backs of taxpayers. Tough talk from Anna Schwartz, a financial sage who has seen it all, having lived through the crash of 1929 and co-authored with Nobel laureate Milton Friedman the highly acclaimed financial bible A Monetary History of the United States (Princeton University Press, 1963). The financial matriarch has carefully tracked recessions, studied boom-and-bust trends and spent her life — all 93 years — mastering the intricacies of the monetary system and banking world. 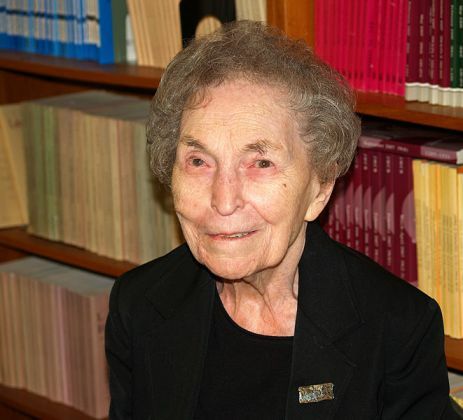 She’s worked as an economist with the National Bureau of Economic Research since 1941 and now serves as an adjunct professor at the Graduate Center of the City University of New York. It was the government’s program to promote homeownership that permitted all of the excesses that occurred over the years. People who should never have had a mortgage were induced to buy a home when they couldn’t pay for it. And as a result, those are the ones whose homes are being foreclosed, and the whole economy is affected. She is, of course, (and pardon the pun) right on the money. It should be noted that in the last century, we haven’t ended a single recession/depression by raising taxes and/or increasing the size of government. Just the idea that this liberal government may do something stupid is hurting business. Oil companies are suspending investment in domestic exploration. That doesn’t just hurt us in the near term. Like it or not, oil is a significant source of wealth here, and not just for the oil companies: all engineering disciplines depend on it; the computer industry; medicine; construction; shipping (sea, riverine, rail, and overland); agriculture; auto. Now contemplate all of the businesses that rely on the support of the industries that are dependent on oil: travel and tourism; entertainment; communication. In short, everything. Without petroleum or without enough petroleum, we will, literally, move back to the 19th century. I don’t recall too many takers on my article about the agrarian life. If the agrarian life doesn’t appeal to you, you’d be wise to support big oil with everything in you, which means opposing nearly everything that this administration and the house and senate leadership stands for regarding energy. Brian, the article you referred to is great. Everyone should read it.